When my friend Alessandro showed me this video for the first time, I could not but think of Thomas. Grey’s verses: ‘Full many a gem of purest ray serene/The dark unfathomed caves of ocean bear:/Full many a flower is born to blush unseen,/And waste its sweetness on the desert air’. If it weren’t for Alessandro, I would have never known about this hidden treasure of our Province (the Province of Pesaro and Urbino): Borgo di Castelnuovo – a rural village upon the Ventena valley, where the Province of Pesaro and Urbino borders with that of Rimini, and where ‘time’ is a meaningless word. The village, dating back to the 11th century, is abandoned. However this video succeeds in capturing the ‘genius loci’, the soul of the place, and when I watched it for the first time I had a definite sensation of being back home. It was more than a ‘déjà-vu’: it was, again, the feeling of belonging there somehow (I have never been there and before Alessandro showed me his video I had never heard of the place). Is it the peaceful feeling deriving from the combination of timeless ruins, green hills and meditative music? Is it – I asked to myself – because my mother grew up in the country-side and the video brought back distant memories of my childhood? Then, all of a sudden, I understood where the blissful feeling came from: a unique video-making technique making me see the world as a bird does. Starting from Icarus onwards, one of man’s strongest desires has always been that of flying. I myself love flying on ariplanes (even though after a bad landing in Chicago some twenty years ago, I love it and fear it in the same time!). However, videos shooted from airplanes, make you feel – indeed – as if you were on an airplane. The technique used in this video gave me the sensation of being like a bird or – even better – a free flying me. This is why I asked Alessandro to introduce me to his world. And I asked him if he would accept being interviewed for my blog. He did. So, thank you Alessandro! Simona: Watching your video gave me the feeling of flying as a bird flies, heading home in a blissful state of mind. Can you please explain to us which is the technique you use and the tools you need to shoot this kind of videos? Alessandro: Ciao Simona. First of all I would like to thank you for your kind hospitality in your beautiful and interesting blog. To shoot my aerial videos I use different types of RC (Radio Controlled) model aircrafts: normally I use a 2 metres wingspan airplane on which I assemble a video camera capable of making HD (High Definition) movies. This model airplane is very useful when I have to take video from a high altitude. When I have to shoot houses, monuments, small objects, or when the take off and landing area is quite narrow, I use RC helicopters (also called drones). I assemble a special filter on the camera to have a better quality and smoothness and I make some “after-production” improvement to stabilize the video. Simona: When did you start flying air-models? Alessandro: I began to fly my first RC airplane at about 13. It seems quite a long time ago (it is indeed!!) and RC model airplanes were very different from now: made of light wood (balsa) instead of light plastic material (depron); stroke engines were noisy while now the new electric motors allow us to fly almost in a silent way. Light video cameras allow to use smaller models and technologies as GPS helps to keep more stable flights. What is unchanged is the feeling of the operator: to have better video technologies helps but the best shoots are made when the pilot is also photographer, modeler and can interpret the “mood” of the subject. No technology can ever help with that. Simona: I guess that flying drones in remote natural environments, brings along the possibility of being alone with yourself. How much is this aspect important to you? Alessandro: My first RC model was a glider: once it reached the cruise altitude the engine shut off leaving you in the beautiful silence of nature. It’s very relaxing to breathe this moment of peacefulness alone with yourself. To pilot these models sometimes requires big concentration that helps to “clean” your mind from big and small problems. 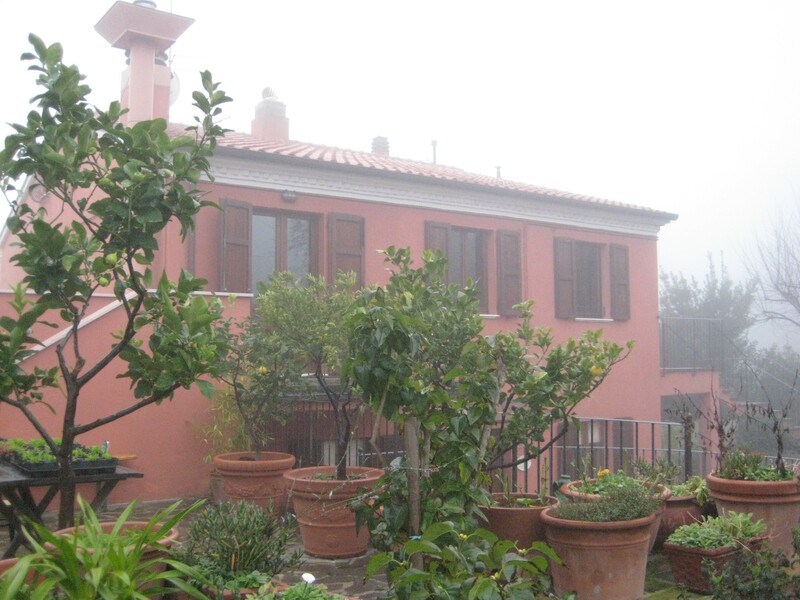 Simona: How did you find out about Castelnuovo Village? Alessandro: Last year I advertised my services of aerial videos in my website. One morning I found an email from a guy asking me more details. His purpose was to show the abandoned condition of the village. In particular he wanted to have a “bird view” to better understand the damages of the roofs. What better solution to use drones to shoot it? I hope you enjoyed not only the video but could “feel” the sense of beauty and loneliness that I tried to bring in foreground. Simona: I certainly enjoyed the video and got carried to Borgo di Castelnuovo with my imagination! Thank you, Alessandro, for sharing your experience with us here at Where Lemons Blossom. And I am looking forward to your next video! Alessandro: Thank you. I’ll keep you updated! When our daughter Costanza was born – almost 4 years ago – my husband and I decided to buy her a little jewel. We were looking for a traditional gift; nonetheless we also wanted something special for her, some sort of unique piece. That is why we turned to Claudia Ottaviani and Lorenzo Gennari, whose works I became acquainted with at the exhibition Ambiente, in Frankfurt, almost 10 years ago, falling in love with them. Going back to Costanza’s present, Claudia realized for her a brooch (one of our most traditional gifts for baby showers – in Italy – is a golden brooch with coral beads, being coral supposed to bring good luck). A brooch made of white gold with just a turquoise bead. Traditional and modern. Baby-like as well, as the turquoise bead is a bit too big for the essential design of the brooch, giving to the jewel a halo of childhood – that time of life when proportion is an empty word, and in a drawing a blue round-shaped object can rapidly shift from a balloon to a child’s face. When I turned 40 I asked for a ring by Claudia Ottaviani. A ring just like the one above in the picture, but with a yellow stone instead. Actually the rings were two because one day, upon arriving home from work, 2 years ago, I was told by Costanza’s baby-sitter that our sweetheart had picked my ring from the table and thrown it out of the balcony. The stone – guess what? – had broken. So we got a second one (I’ve learned my lesson now and stopped leaving things randomly around the apartment). When my husband’s sister also turned 40 (hope she doesn’t get mad at me for revealing her age! ), we bought her one of the famous golden “barrette” (here in the picture) designed by Claudia Ottaviani and Lorenzo Gennari. Claudia will celebrate the 20th anniversary of her activity on Dec. 15th and Dec. 16th, in her workshop, in via Passeri 48 (Pesaro), welcoming guests from 6 to 8 pm offering them chocolate and vin brûlé. By the way, remember my post on Saint Lucy’s Day? Same street as Saint Lucy ‘s church (Santa Lucia), in Pesaro, San Giovanni Public Library (former convent) and the beautiful Saint John’s church (San Giovanni). Revealing social and ritual functions, which go way beyond the simple fact of being an ‘accessory’, the jewel is an important object, as it is able to combine aesthetic and ornamental values together with magical and mystical ones, besides unveiling emotional meanings (Claudia Ottaviani and Lorenzo Gennari). Cult movies: Ninotchka by Ernst Lubitsch, together with North by Northwest by Alfred Hitchcock, and The pirate by Vincente Minnelli. Cult books: Jane Austen, Pride and Prejudice; Cristina Campo, Gli imperdonabili (the Unforgivable); Francis Scott Fitzgerald, The Great Gatsby. A place: the light in Provence. Colors: those by Matisse. She got fond of the “memory” theme after reading Giovannino Guareschi’s books, listening to her grandmother’s tales of ghosts and thanks to her professor, Arnaldo Picchi, whom she got her University degree with, majoring from DAMS in Bologna in 1993. 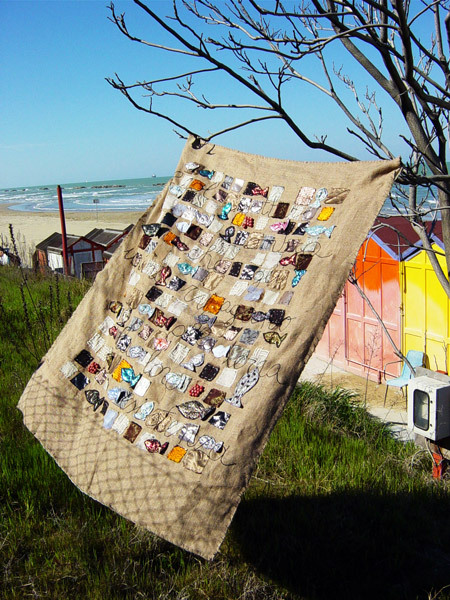 She worked for the opera theatre as a costume designer from 1984 to 2004 (she cherishes now numberless boxes filled with ancient fabrics which she’s using to create artworks which have been exhibited all around Italy). She is devoting herself to history (and stories) with more than 20 pubblications – mostly tied to the territory of the Province of Pesaro and Urbino, among which Pesaro, fashion and memory (2008 and 2009) and The porter of the Diocese. Giovanni Gabucci (1888 – 1948). She also collaborated with the Vittorio De Sica Foundation by writing essays on the costumes in the films of the great director. She’s writing for internet since 1999, mostly on lifestyle, theatre and cinema. Since 1996 she’s collaborating with local public and private institutions, organizing events and cultural initiatives on the theme of the local memory; in 2005 she has created the Memoteque Pian del Bruscolo and conceived the “Family dinners” in Belvedere Fogliense, when the families of the little village open up their houses for two days, hosting perfect strangers who have the opportunity – for free – to appreciate the local cooking tradition and to spend a pleasant evening around a table and, while eating together, to hear local stories of the past. In 2010 she created the magazine “Promemoria” and started up the Pesaromemolab Project – a laboratory for sharing memories promoted by the Municipality of Pesaro and by several cultural institutions of the Province. She was born in Pesaro in 1965, where she lives and works. I could never give up my weekly meeting at Daniele Canu’s workshop in Pesaro where our musical ensemble gather – on Thursdays – to play together. It’s an odd group indeed: two first violins, two second violins, one cello and one basso continuo, no viola. By the way, does anyone who plays the viola feel like joining in? Right now, we are specializing in murdering: Vivaldi, Charpentier, Rameau, and enthusiastically doing so. I shouldn’t be talking like that though because our mission, so to speak, is that of taking Music out of the Official Temples for the (so-called) Elected Few, witnessing that even if you haven’t graduated from the Music Conservatory, and even if your are no longer in your “teens”, you can still play and enjoy doing music together. The soul of our group is the violin-maker Daniele Canu who generously lets us play in his workshop. His workshop: a magic box. I love the smell of wood and glue, and I love to play surrounded by violins, cellos, guitars who vibrate along with us. On one of the walls two myths – so far and yet so physically close to one another – look upon us with benevolence: a picture of Paganini and one of Stan and Laurel playing the violin, as a reminder that yes, we should try to reach perfection but nonetheless never shall we take ourselves, and life, too seriously. Here’s a brief note on my friend Daniele and the wonderful tradition of violin making that he is carrying on. Augusto Pollastri (1877-1927), Giuseppe Fiorini (1861-1934), Cesare Candi (1869-1947), Armando Monterumici (1875-1936), Carlo Carletti (1873-1941), Gaetano Pollastri (1886-1960), Ansaldo Poggi (1893-1984), Otello Bignami (1914-1989). This illustrious tradition continues today with the violin-maker Maestro Daniele Canu, who was pupil of Maestro O. Bignami for four years (1979-1983). After a brief experience within the “Consorzio Liutai Bolognesi” (the “Bologna Association of Violin-makers”), Maestro Daniele Canu opened his own workshop in Bologna in 1985. In 1988 he took part in the 10th Italian Contest for Young Violin-makers winning the third prize. 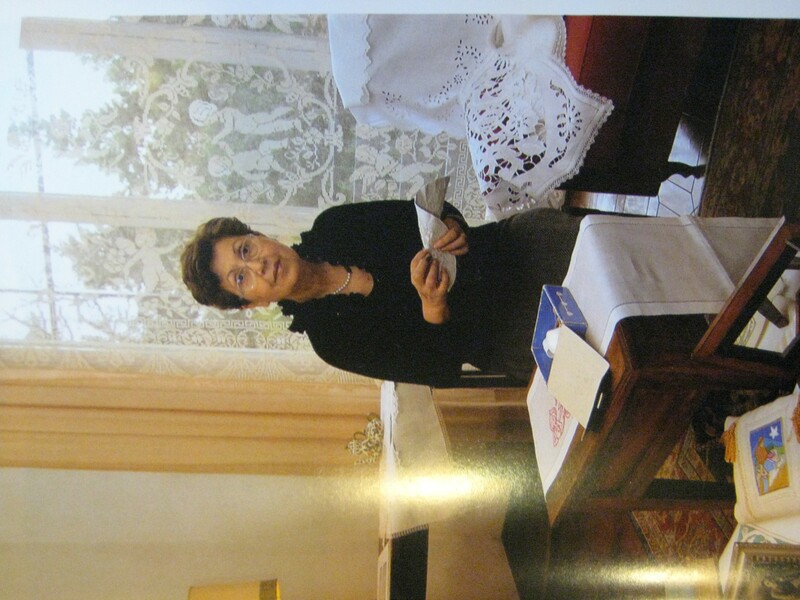 A long-time member of the “Associazione Liutaria Italiana” (A.L.I.) – the “Italian Association of Violin-makers” – he is founder of the “Gruppo Liuteria Bolognese” (G.I.B.) – the “Bologna Group of Violin-makers”. Upon invitation by several violin-players he moved to Pesaro, the city of Gioachino Rossini, where he has the pleasure of working since 1999, near the Music Conservatory named after the composer. His preference goes to making instruments according to the models of great Bologna Maestroes (A. Pollastri, O. Bignami and A. Poggi). He also gladly makes violins according to the “Cannone” model by Guarnieri del Gesù. The soft paint which allows instruments to vibrate freely has the red tones of sandal wood and of dragon blood on a golden bottom. Italian, German, American, Taiwanese and Japanese professional musicians play instruments by Maestro Daniele Canu. Daniele Canu, via Nicola Sabbatini 13, 61121 Pesaro, phone +39 721 32273. 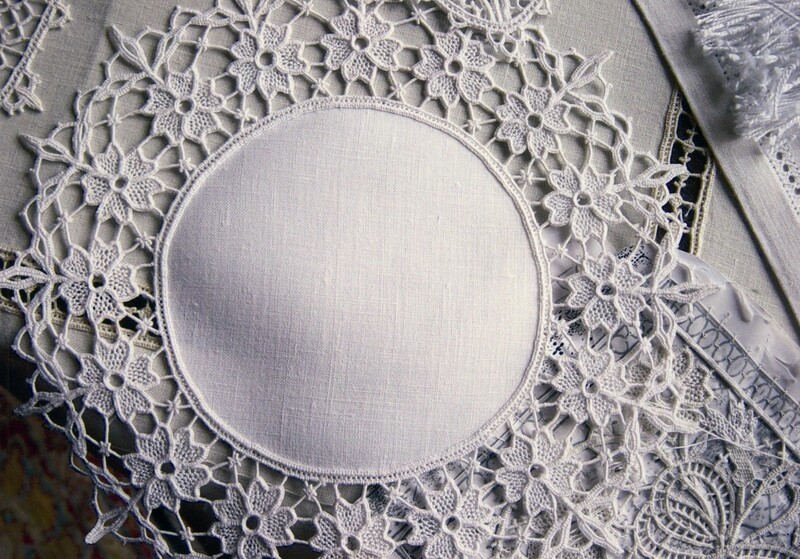 She is fond of Aemilia Ars (she has been one of the last pupils of the great Antonilla Cantelli, under whose guidance she has learned the secrets of the “air stitch” – punto in aere – for over ten years) but – as real lovers of embroidery and lace do – she devotes herself daily to studying and improving those techniques that made the History of Embroidery, as the Bayeux embroidery, the Punto Umbro, Macramè or the ancient unthreaded embroidery. Raffaella Corsini, collector of old trusseaux, embroidery tools and samples, has started again – beginning from last Fall – her Embroidery Atelier in Pesaro. 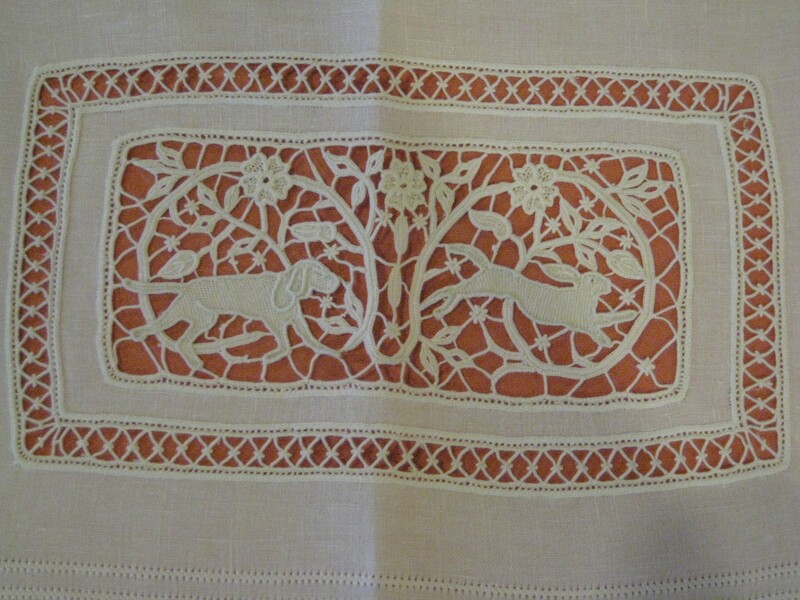 A group of us friends gather to work together and to widen our knowledge on embroidery – says Raffaella who had almost all embroidery teachers in her town discover Aemilia Ars – and, as usual, our meetings will give us the opportunity to have a relaxed chat in a friendly – and feminine – environment. An expert embroideress, Raffaella Corsini, owns a remarkable book collection on women’s artworks. Among them are a few very rare copies from which she draws inspiration for her classes. Working on old drawings is a unique experience – says Serenella, one of Raffaella’s closest pupils – because besides learning the most technical aspects of embroidery, we also get to know a little more about our past, about how women used to live and work in the past. Raffaella – a recent grandmother – organizes classes for little girls (from 7 years up) where girls can learn the first elements of the art of embroidery, perhaps in the company of their mummies and grannies. 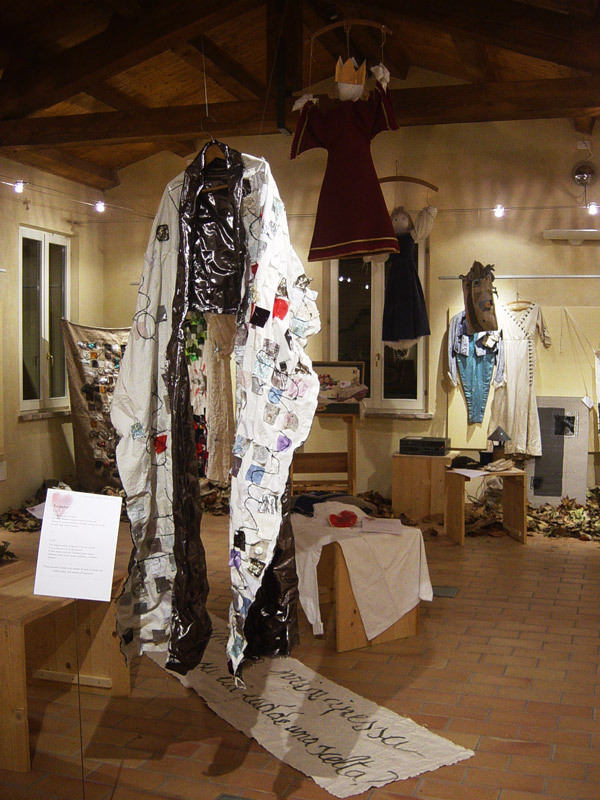 Raffaella also organizes one-theme worskhops, like the one she held last Fall at the agro-restaurant La Celletta Country House, close to Urbino, whose title was “Embroidery in the Wood”. 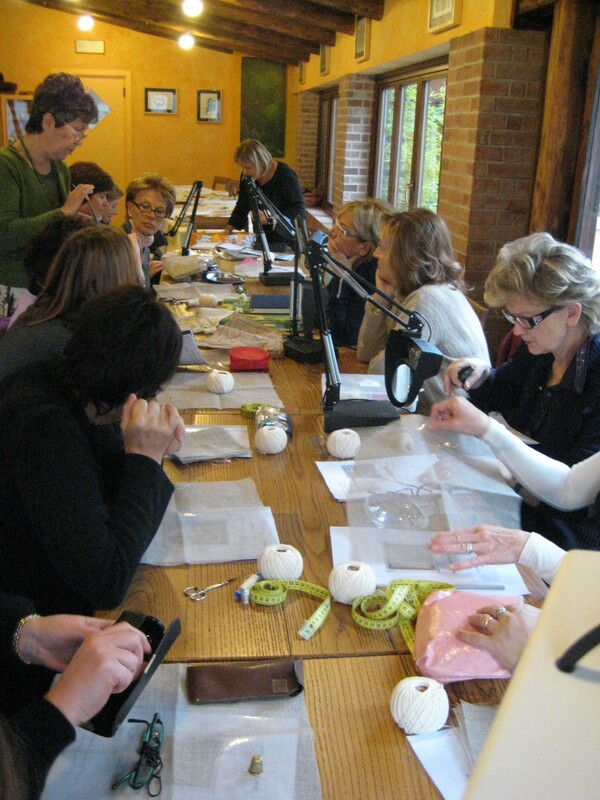 More than twenty participants engaged – for a whole day – in learning and mastering the Caterina De’ Medici stitch in a fairy-tale scenario, among a tasty typical lunch and a cup of tea with pastries. 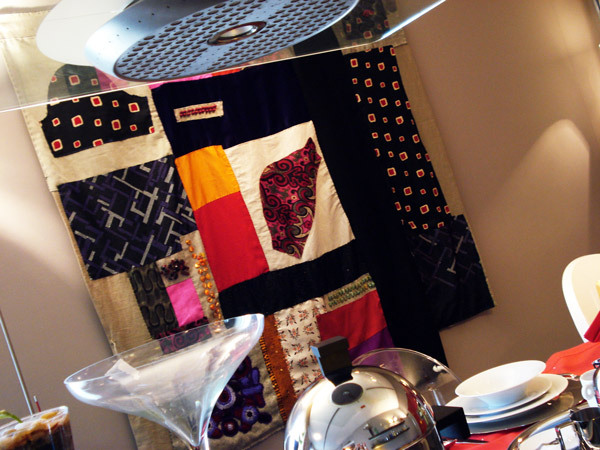 A real friends’ gathering who, like in past times, used to meet to embroider and to spend a pleasant day together.